← Gold, Silver & White Christmas! Christmas season . 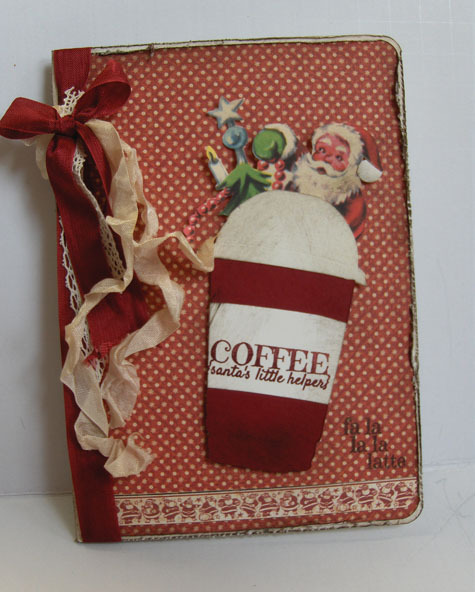 . . that means there’s another seasonal blog hop happening at the Coffee Loving Cardmakers! You gotta’ check this out . 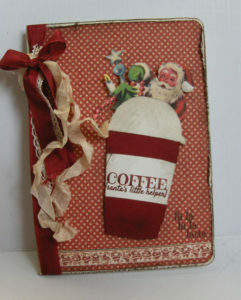 . . sooooo many wonderful holiday themed “coffee cards”!! Enjoy . . .I’m off to grab another cup myself, and head for my stampin’ desk, since it’s a perfect cold, dreary, rainy day! . .. I’ll have at least one more card for the Coffee Lovers this week, so stay tuned! 12 Responses to Coffee Loving Cardmakers Christmas! Love the pretty ribbons and vintage feel of you card! Beautiful. Awesome crd. Love the papers and Santa peeking over that cuppa! A gorgeous vintage styled card. So cute! Wow! I love the vintage style!!! Beautiful card!!! This is wonderful…love the mix of goodness. I’m a big fan of Cavalini and tend to hoard their things. You’ve done a fab job on this. Oooh, this is gorgeous. Love G45 papers. Love that delicious ribbon.